"We support it...as long as it does this." Ofcom has responded to BT's plans to invest heavily in a fibre-optic broadband network, outlining the three factors that will be utmost in its considerations. Ofcom chief executive Ed Richards said in a statement: "This is a clear sign that the UK market is moving in the right direction, with a growing number of plans to deliver super-fast broadband services to consumers. "These new networks will be a critical part of the UK's infrastructure and will change our experience of communications. They will support and deliver innovative applications and services as well as helping create new opportunities for businesses of all kinds. 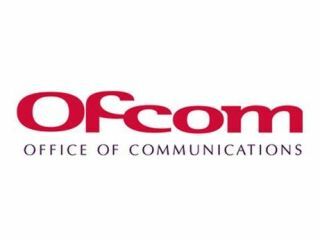 "…With this announcement industry will need further regulatory detail and that is exactly what Ofcom will provide. "Firstly, given the potential consumer benefits, regulation needs to provide the right incentives for operators to invest, recognising the inherently risky nature of these investments. "Secondly, we want to continue to promote a vibrant competitive environment as we enter the next generation of communications services. "Thirdly, we are already working closely with communications providers, and our wider stakeholders, to ensure there is a concerted dialogue on the regulatory environment to support investment and competition." It's a lightning fast response to the earlier assertion that Ofcom needs to look at its current policy, and outside of the rhetoric, sends a clear message that the watchdog is not going to give carte blanche to BT. Making sure that BT does not ride roughshod over the over telecommunications companies due to its privileged position is clearly of paramount importance to Ofcom, which will require changes to the regulation. But it's clear that BT's decision is likely to be seen as forward thinking and, ultimately, its most responsible course of action.